Our caravan is ONLY advertised on this site. 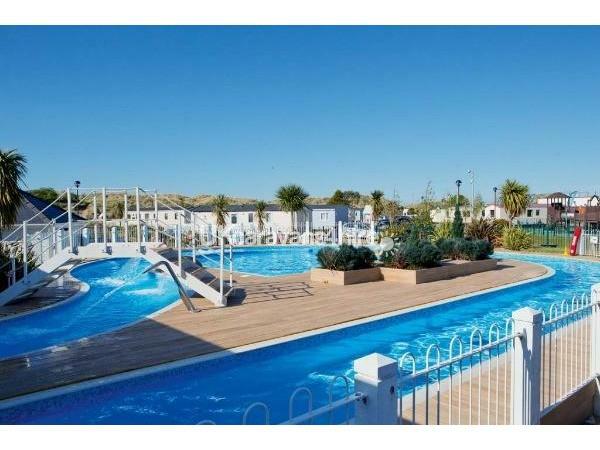 The caravan is a prestige caravan it is in a nice area, 5-10 minutes walk to entertainment and situated next to the sand dunes with easy and close access to the beach. A nice distance from the entertainment for the noise levels. Sleeps 6 with en suite in master double bedroom and main bathroom with shower, 2 bedrooms with 2 single beds in each room. All bedrooms have flat screen TV's all with free-view and one of them with built in DVD player. Living area with flat screen TV with free-view and built in DVD player hung on the wall and gas fire. Built in full size fridge/freezer. Kettle, Toaster, Microwave, Gas Oven and separate Gas Grill. Patio doors leading out onto decking. Wrap around decking with ramp. Outside picnic table for alfresco dinning. There is a £60 bond to be paid on booking which will be returned if no major breakages or damages. There is a £50 cancellation fee to be paid on booking, which is knocked off the full price if the booking is not cancelled. Full payment to be received 4 weeks before arrival date. Installments accepted but the full amount must be paid 4 weeks before arrival. Please do not hesitate to email, text or ring for a price. - 2016 bookings now being taken with a £50 deposit on booking. Additional Info: Amusements and Restaurant will only require the passes after 6pm. Also go karts, childrens outdoor parks, donkey rides, indoor play area, aerial adventure, outdoor five a side courts. Just stayed at Claire and Gary’s caravan and it was absolutely faultless. Everywhere was spotless, lovely decor and a nice quiet location in the park. The decking around the caravan was great for our little one year olds as it meant we could leave the doors open and allow them to roam. 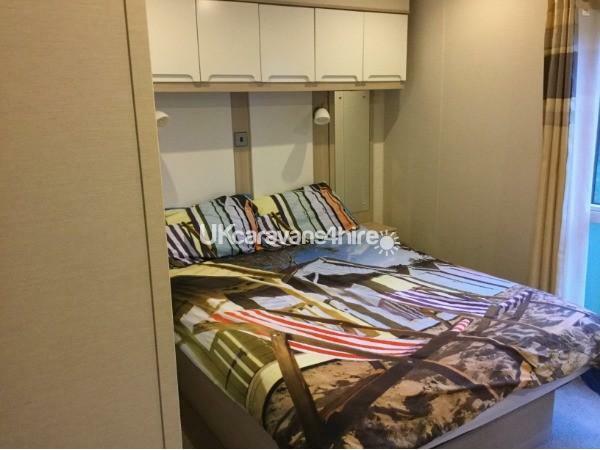 Ample room and very well equipped with everything you need even down to a slow cooker and steamer. Thanks to you both for allowing us to share your home and we look forward to visiting again in the future. The caravan was amazing. So clean and had everything you could possibly need and more. I went with my grandkids and my daughter and son in law. The van really is a home from home. We will definitely stay again. The owners Claire and Garry are always available and really couldn’t have done more to make us comfortable. Thank you Claire and Garry. ???? 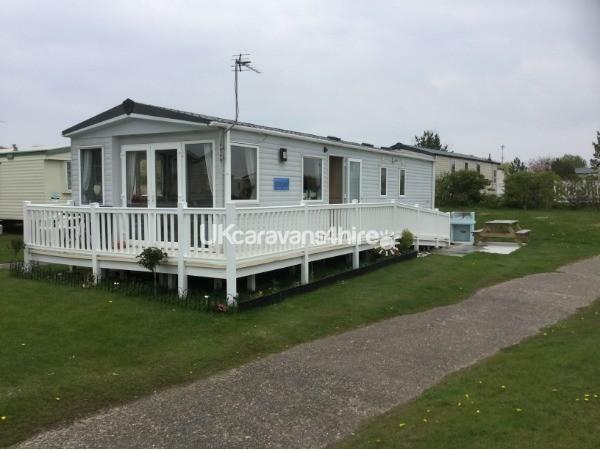 This is a lovely caravan right next to sand dunes,everything you need is included beds were not made up on arrival as stated but apart from that everything else was great.I would recommend this caravan it is beautiful inside and has a wraparound balcony with patio doors. We have just had a 10 day stay in this caravan. It was absolutely beautiful it had everything you need to use and more,the decking was great to sit out on and enjoy the lovely weather, I would recommend this to all my friends and family and we are returning again next year to this fantastic caravan. The owners were always in contact from booking to arriving and once home lovely couple. 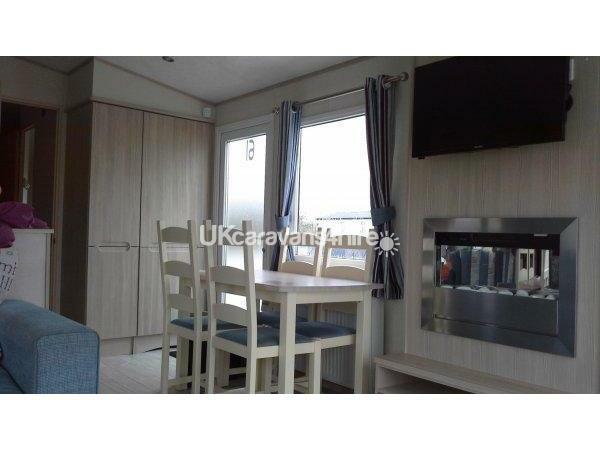 If your after a perfect caravan on the Presthaven site, then look no further. Claire the owner is wonderful, she happily answered all the 10-15 questions I had without a problem. The caravan itself, like advertised is a soft ball throw away from the sand dunes. The ramp veranda and seating was ideal. Inside the caravan felt like home from home, not one thing was left out, plenty of space, beautifully clean inside and out. All the facilities were there right down to an electric can opener. If we were to return I wouldn't bother contacting anyone else, purely for the fact that I don't think any other hiring caravan could outclass this one. I've just been and stayed in this Caravan and already planning next year's stay. It was myself, my friend and our two daughters. The caravan was spotless on arrival. Could not believe the amount of facilities available to us, even had a highchair, dishwasher, full size fridge freezer, beds were so comfy and I can honestly say the caravan was THE BEST on the park, It is absolutely beautiful!!! The amount of people walking past and complementing it was unreal... lovely park too. Great for kids and we had a lovely stay. Definitely recommend and will definitely be staying in the same caravan on next year's trip! Owners are lovely and great communication too. Had a fantastic week weather was great, caravan not a fault and to the owner Claire thank you. she gave a text see if we got there OK and if every think was OK even text to see if we got home OK . couldn't ask for nothing else enjoyed our stay so much booked for next year. Me & my family spent a week in this beautiful caravan, on arrival caravan was spotless, with a beach theme throughout , gorgeous veranda all the way round. 5 minute walk from club houses and shops. The location couldnt of been better at the end of a row of caravans, so nice & peaceful with plenty of space for children to play. Also quick & easy to access the sand dunes as there just behind the caravan so 2 minutes walk to the beach. Very easy booking and very good communication with the owners would definatly return and recommend to family & friends. Fantastic holiday!! We had a lovely week's holiday in this caravan. The caravan was spotless when we arrived and had a real holiday and beach feel to it as the living room was decorated with a seaside theme to it. The location of the caravan was perfect for us as it was at the end of a row of caravans so we had more surrounding and outdoor space. If we choose to go back to this site I would definitely try and see if I could get this caravan again as we simply loved it. 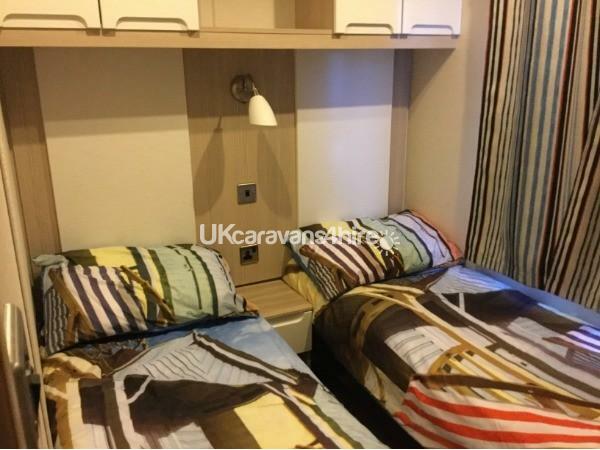 Lovely clean caravan, nice location which was quiet within a 5 minute walk to entertainment. 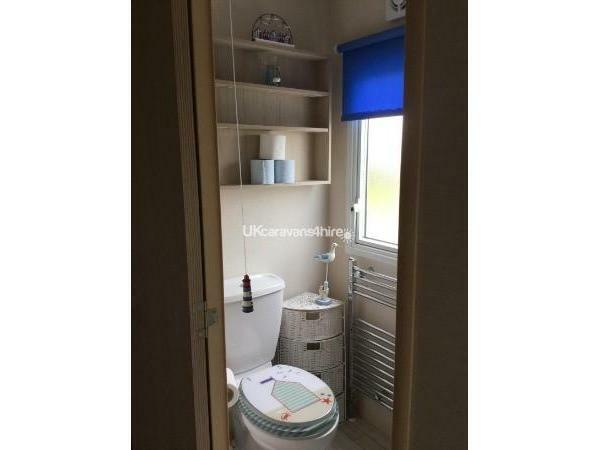 lovely caravan in a lovely spot , quiet especially with the double glazing, but close to all entertainment and next to sand hills. 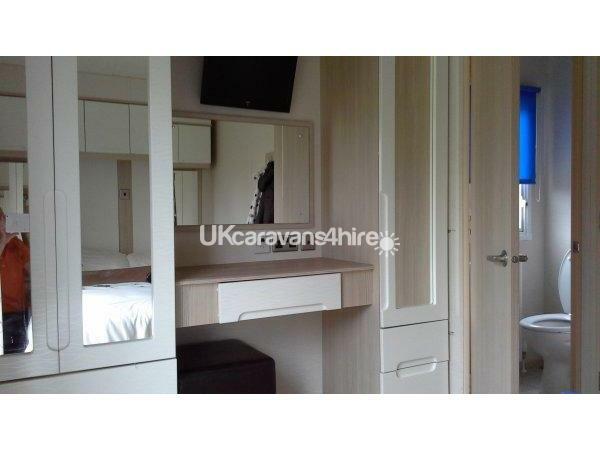 I had no trouble with booking with the owners and paying online, i would book again and stay in this caravan.